LAP-BAND Dinner: Cauliflower Crust Pizza. Pizza dinner’s post LAP-BAND surgery will NOT be a thing of the past. This Cauliflower Crust Pizza recipe uses LAP-BAND approved ingredients that will make dinners nights flavorful! Preheat oven to 450°F. Line a pizza pan or rimless baking sheet with parchment paper. Place cauliflower in a food processor and pulse until reduced to rice-size crumbles. Transfer to a large nonstick skillet and add 1 tablespoon oil. Heat over medium-high, stir frequently, until the cauliflower begins to soften slightly (but don’t let it brown), 8 to 10 minutes. Transfer to a large bowl to cool for at least 10 minutes. Add egg, Romano cheese and oregano to the cooled cauliflower; mix until mixture can be pinched and will hold together. Spread the mixture onto the prepared baking sheet, shaping into an even 10-inch round. Drizzle the remaining 1 teaspoon oil over the top, marinara sauce, and shredded mozzarella cheese (you may also add other toppings like peppers, mushrooms, etc.). Bake the pizza for about 10 to 14 minutes, until nicely browned all over, 8 to 14 minutes more. Scatter basil over the top. Cut into wedges and serve. You don’t have to kiss Pizza Nights goodbye! Make and share this new recipe, we want to hear all about your Cauliflower Crust Pizza making experience! 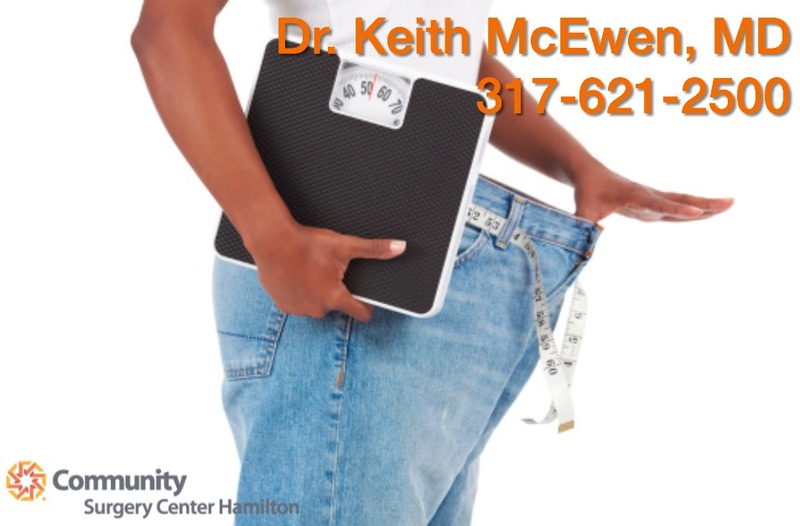 To learn more about Dr. McEwen and Community Surgery Center Hamilton team visit our Facebook page or call our office at 317-621-2500. Want more inspiration? Follow our socials for a closer look at life with the LAP-BAND® team! LAP-BAND Recipe | Lemon & Dill Chicken. Add a little extra flavor to your LAP-BAND diet with this delicious Lemon & Dill Chicken Recipe from Eating Well! Recommended Frozen Meal Brands For Your LAP-BAND Diet.